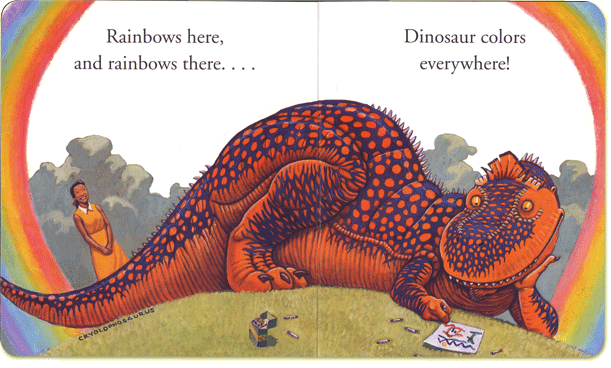 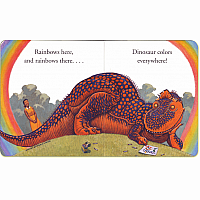 Come along and join the dinosaur fun as ten dinosaurs show children all the colors of the rainbow. 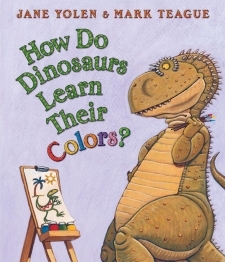 Discover different hues as the dazzling dinos paint and play with several shades. 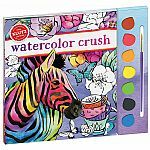 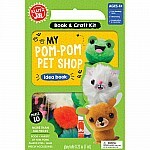 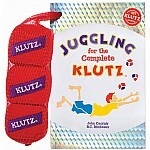 Perfect encouragement for creative kids who love to mismatch pink polka dots and aqua argyle. 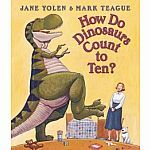 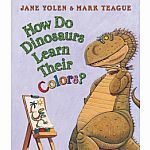 These classic, bestselling characters from Jane Yolen and Mark Teague are a perfect introduction to basic concepts.